We believe form should follow function. 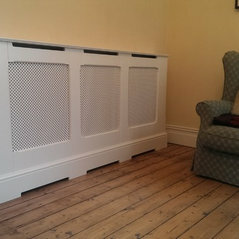 What’s the point in having a beautiful radiator cabinet, when it restricts the heat output of your radiator? When you look closely at our radiator cabinets, you will see and appreciate the craftsmanship. Not stamped out on a machine, but handmade and finished with traditional skills. Our team offer the widest choice of designs, sizes and finishes for radiator cabinets in the UK, it’s all about providing quality. We want to add value, make a cabinet that will withstand the rigours of modern family life and last as a permanent feature in your home. Please look through our Gallery Page to get an idea of how our cabinets could look in your home. 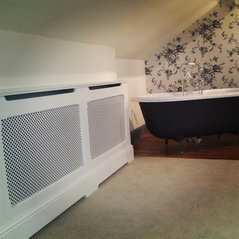 Radiator Cabinets UK design and manufacture radiator cabinets to the highest standards, our team source the best materials to construct the radiator covers. That said, our greatest skill has been to offer a design solution for the most awkward and complicated situations. Very pleased with the radiator cover we purchased for our nursery - excellent quality, good customer service pre- and post- delivery. Great, high quality products backed up by a second to none personalised service and helpful delivery. Fantastic I would have no hesitation recommending and indeed we have ordered again. I had two radiator cabinets fitted in my hallway - I would highly recommend this company - my cabinets are stunning and I received excellent customer service. Комментарий в: How to finish this room?Why not choose from our selection of radiator covers? Free home design service available.